Salsa. Its not just for vegetables anymore! That’s right. I said it. Hey, I love salsa and chips as much as the next guy, but with the bounty of beautiful summer fresh fruits, I just have to take my salsa recipe and change the ingredients from veggies to fruit. I do this every summer. 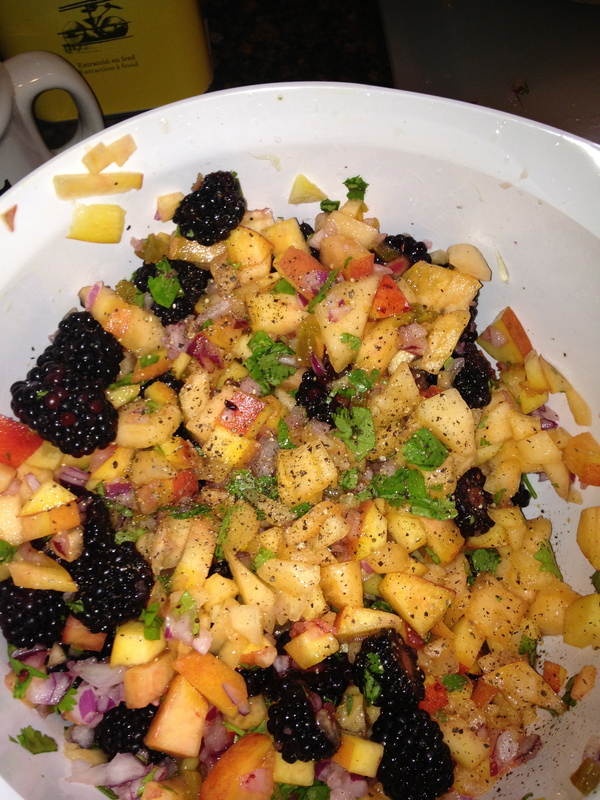 My fresh fruit salsa is now a requested summer staple. A salsa of any kind is usually raw cut or chopped vegetables or fruits. Typically a salsa is used as a condiment. It can also be used with corn chips as an appetizer or snack. This fruit salsa is delicious with meats, but it is just great with corn chips too! It has bold flavor, so a little goes a long way. A flavorful salsa is easy to make, and extremely versatile. It is easily customizable to suit your own personal flavors. 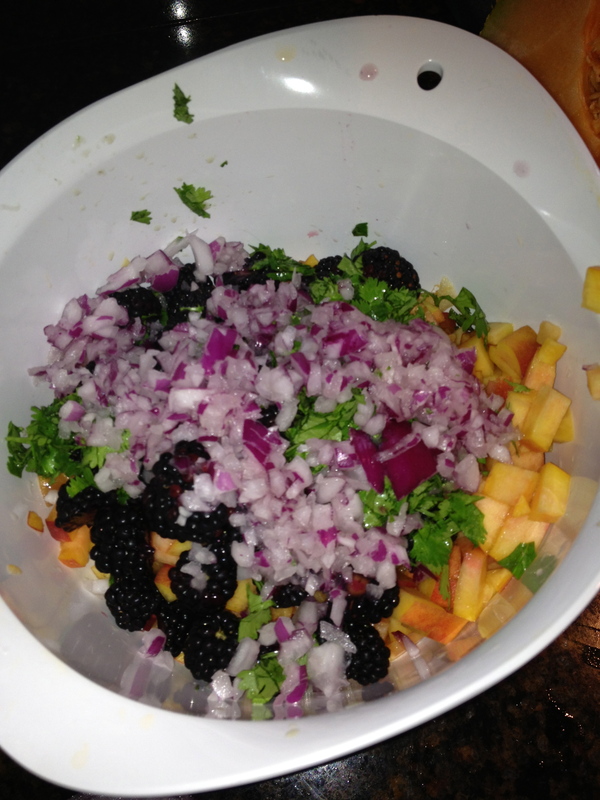 I make this fruit salsa with cilantro for a little kick, but I would substitute it if my mom was going to eat it. She doesn’t like cilantro. But that is the beauty of a recipe like this. It is packed with flavor, has good nutrients, and is very colorful. And so easy to alter to please your crowd! Here it is. But remember…I consider recipes a “jumping off point” if you will. Recipes that I develop, like this one, can be changed to suit changing taste, available ingredients, or budgets as often as your like! Mix everything except the lime together. Stir. Squeeze the fresh lime over the top. Give the salsa another good stir This is best if it sits for a few hours in the fridge before serving. I have used this as a topping for grilled pork tenderloin and with low fat corn chips as a starter. Go for it! Grab up some fresh summer fruits and make a delicious salsa of your own! 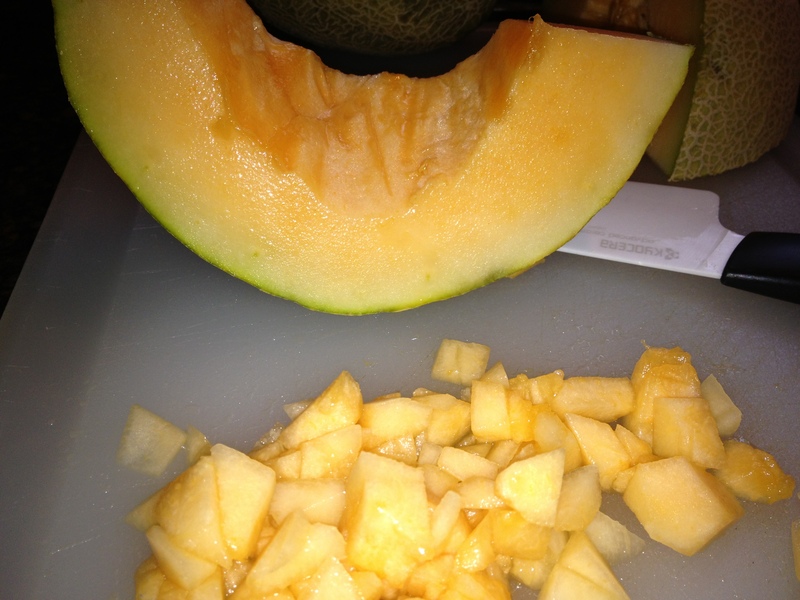 Chop up some melons. About a cup of each should do! 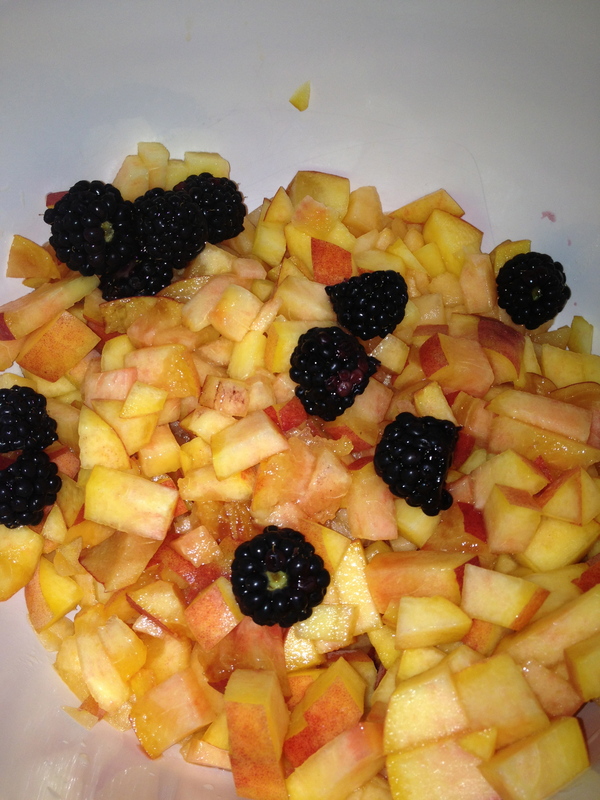 Next, chop up 2 peaches, mix with the melons and add the black berries. Toss in some diced red onion and some cilantro. Give everything a good mix. Then squeeze the fresh lime over it. Give it another good stir and into the fridge it goes!